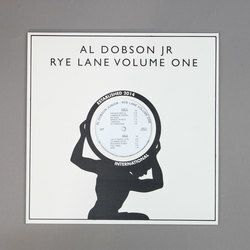 Al Dobson Jr. - Rye Lane Volume One. Vinyl LP. Bleep. Anyone who knows the Peckham night scene knows what a feel-good event the Rhythm Section club night is, collecting exotic beats and blurring them into six-hour roof-raising carnival. Curator Bradley Zero has turned the event into a label and commissioned fellow South Londoner Al Dobson Jr to take care of the debut release - although it sounds like he’s travelled to the far ends of South America to source it: slow, sample-heavy jazz on ‘Cigar Box’; jerky bongos and voodoo chanting on ‘Grenada Special’. An original release that will quickly seduce anyone into the crate-digger sound.